Help support the work we do in the streets day by day by digging into your pockets and donating now! 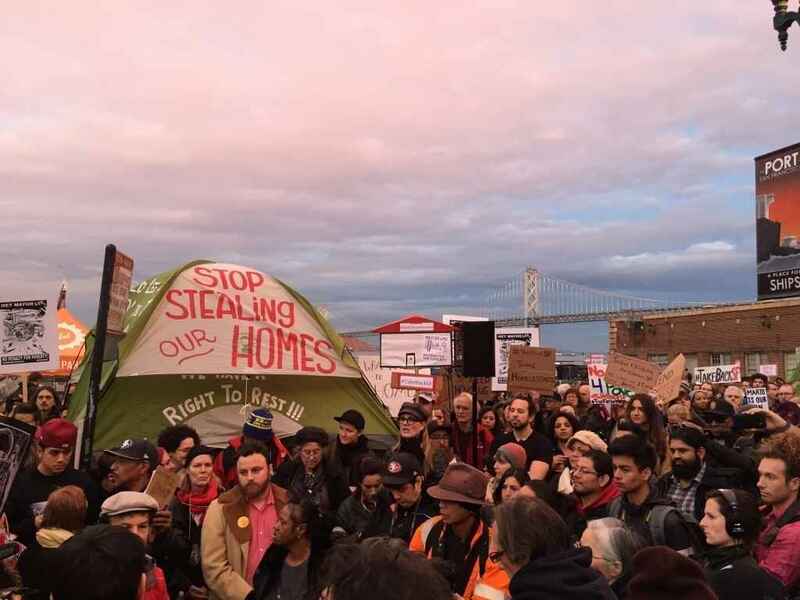 The Coalition on Homelessness brings together homeless folks, front-line service providers, and their allies to build a San Francisco that everyone can call home. We are working every day to expand access to housing in one of the richest cities in the country, protect the rights of the poorest people on our streets, and to address the root causes of homelessness and poverty. San Francisco is in crisis. More and more people are being priced out or evicted from the places they have called home, being forced to leave town or to survive on unfriendly streets. Columnists, politicians, and tech bros have attacked our homeless neighbors with insults and assumptions, deepening the sense that our city is under siege. Thanks primarily to small donors like yourself, the Coalition on Homelessness has managed to build a growing movement to lift up the voices and actions of those surviving on street corners or in shelters. Bringing together people experiencing homelessness, frontline service providers, and advocates, we have made enormous strides towards ending poverty and homelessness in the city. Please give now to keep us going! Thank you for doing your part to protect our city's poorest and most vulnerable populations, especially in times like these! As much as homelessness bothers me, I always do my best when I'm able, to support these types of issues. Economic disparity in the Bay Area is too big to ignore. I hope this small donation helps the cause. I'll be staying tuned and reading Street Sheet. Thank you for fighting for the rights of our City's most vulnerable and creating a more equitable future.